Over the last 50 years scale modeling has grown from a trickle of amorphous blobs of plastic marketed for kids into a flood of Swiss-precision models suited for both genders and for all ages. Popularity of scale modeling has recently grown to staggering proportions, in Japan alone the market for Gundam robots is over half a billion dollars a year. As in the Real World, the Modeling World is extremely diverse: modelers build and paint cars, jets, dinosaurs, tanks, trees, unicorns, spaceships, Queen Elizabeth I (the monarch) or QE2 (the ship). Anything real or imaginable, as long as it is scaled down (or up!) into a model and as long as this model fits into the matchbox or into a room, will be built by modelers. Unlike the Real World, the World of Models blends the opposites into one cohesive unity: aggression and peaceful meditation, hi-tech experimentation and artistic expression, competition and consumerism, microminiaturization and creations of truly enormous proportions. The founding father of our hobby once wrote: "Modelling is relaxing, therapeutic, educative, inexpensive and interesting, but above all FUN" (Chris Ellis, the editor of the Airfix Magazine). And Fun it is! From our own experience we know that Modeling is also highly contagious, as we all caught it somewhere! 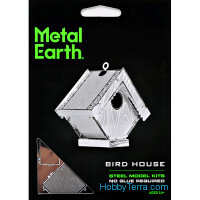 At HobbyTerra we do our best to bring unique, hard to find and previously unavailable models to your doorstep, at the lowest prices imaginable! We are doing this because we are cheap. However, it is not just us! Being a True Gentleman, legendary Chris Ellis put it mildly as "inexpensive" but our whole hobby IS CHEAP!!! One can buy a model for the price of an ice cream. If you "go crazy" and spend more than a hundred bucks on a single model, you can brag about this for years to come. Compared to other hobbies where $200 won't buy you a single link for a Patek Philippe bracelet or a pair of interconnects worth mentioning to your audiophile buddies, WE ARE CHEAP!!! And this brings us to our plea to You, our Customer—spread the Fun of our hobby around! Your kids, or kids of your kids, or the "inner kids" inside your friends and neighbors, they all deserve presents. Did we mention that plastic model is the cheapest present imaginable? Although it may be cheap, it is also The Perfect Present: it is Unique, Educational, there is always a Story behind each model (yes, as a Modeler you must weave a story, even if a short one! ), and it is FUN! Lets not forget that you can do even better: buy an extra present for yourself! The six-year old can always get your BUILT model from the lowest shelf of your display case! Yes, the lifespan of that model will be measured in minutes, as of a real thing on a real battlefield, but another seed of our Modeling World will be sown into the Real World! As a parent you should know that building models promotes the growth of your child's interest in history, creative thinking and also helps improve motor skills. Recent data from academic research show that diorama models are best suited for senior management and directors if the ideas of status and uniqueness is already present in the prototype. Assembling dioramas gives an opportunity to depart from the canons and express one's individuality and imagination and to take modeling well outside the limitations of Zolo(tm) sets. For those of us who want to move toward an "artistic" side of the hobby, Steampunk Art Movement is a way to go with minimal changes in our modeling routines.